The one industry which is on a constant upward swing is the real estate industry. The Chennai Property market is considered to be one of the most stable and continuously growing markets in India. The advent of the IT sector, giving rise to SEZ and the IT corridor has catapulted the interest in Real Estate. Prices of properties for sale in chennai have been growing in between the range of 3% - 5% on a monthly basis over the last two years. The demand for houses has also been growing in between 1% - 2.5% per month over the last two years. Chennai has always been a promising real estate market for both buyers and builders. It is indeed the ideal destination for all real estate activities, with studies showing that over 45 million sq. ft. of housing property in Chennai has been sold in the last two and a half years! Over the last two decades, there has been a marked difference in the way properties in Chennai are being developed and promoted. Real estate in Chennai has truly evolved. The conservative Chennaite who once believed in living within the city, at a close proximity to schools, entertainment options and central business districts, is now open to considering other options as well. Investors who were once satisfied in putting their money in mid size projects with little or no amenities, are now looking at large sized townships that have generous landscaping, and a range of top notch amenities. Further, this trend has also been fuelled by the sky rocketing prices of real estate within the city. With Chennai property in the heart of the city coming at a premium, developers are forced to offer basic residences in the range of Rs. 1.5 – 5 crores. Residential developers who want to put up their properties for sale at an affordable price are forced to look at suburban locations. Real Estate in Chennai is increasingly moving into the outskirts of the city. Areas surrounding the 200ft road are showing a lot of promise, with a range of high profile companies sprouting there. IT has also cemented the growth for properties in Chennai along the corridor. Other emerging hot properties are situated in the midst of industrial hubs and automotive hubs, which draw in a lot of population. The user driven market of Chennai is evolving rapidly. Developers are increasingly spending more time on client’s needs and requirements. They are quite literally coming up with something to suit every palette. In the current scenario, properties for sale include community living projects, theme based townships and mixed development projects. The new township projects have minimal built up area and thereby offer an increased land space. The serene environment in the midst of nature, Club Houses, Swimming Pools, Schools, Medical Facilities and entertainment options within the premises have got Chennaites aspiring for more. The proximity of these communities to different workplaces has drastically cut down on travel time, thereby paving the way for a better quality of life. Despite its ups and downs, the real estate market has been doing well for itself. Pricing in the Chennai property market has also been stable with prices moving in accordance with actual sales. With unique and differentiated projects and irresistible deals, investors are indeed spoilt for choice. Before you invest, it is better for you to get to know your builder, check on the developer’s intention to complete the project and hand over on time, and if the pricing is reasonable considering the location and the amenities offered. The time is right to own a property in Chennai. Like the weather, the people of Chennai are extremely warm, sunny, and cheerful! Chennai is a proud home to people of many walks of life and is the melting pot of many traditions. It is one of the most culturally prosperous, economically forward, and technologically strong metropolitan cities of India. People in Chennai are all well educated and helpful. Chennai was voted as the best city to live in India in 2013 by India Today. It is also the only Indian city to be featured in the global list of top 100 cities to visit! For a stranger to the city, Chennai is safe. The sunny tropical weather and the warm people make Chennai an explorer’s delight! chennaiproperties.in is one of the best advertising property portals for buying, selling and renting properties in chennai. It has received resounding success and is now riding the high tide in the property business. Thanks to chennai properties. Your website was very supportive to sell my property in chennai. 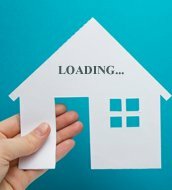 IBI Media launches property portal with clean interface and real properties compared to other real estate websites in chennai. I would like people to know that Chennaiproperties.in is one of the best properties portal in chennai and we recommend to anyone without any hesitation as they are in online business for a quite long period of time. It is a pleasure interacting with professional firm. We appreciate Chennai properties. They are very receptive in terms of producing the quality output what we needed. I would highly recommend them for listing properties as their focus would be more since the real estate portal is only for Chennai. I am really impressed with Chennai Properties because of their innovative and entertaining attempt at real estate market in chennai. Best wishes Chennai properties!! !, Continue your Great work! The quality of service and timely responses are very good. The staffs are very professional, respectful and friendly.